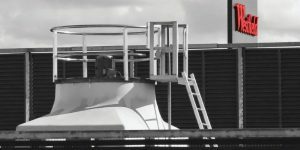 Are you looking for advice when it comes to height safety and working at heights? Talk to the experts. 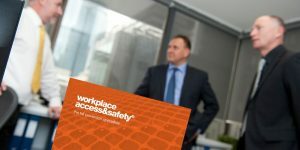 As one of Australia’s leading height safety specialists Workplace Access & Safety are experienced in all aspects of height safety and fall prevention. Our true end-to-end height safety solution covers all your needs from consultation to system design, equipment install and ongoing training and inspections. We ensure the right system for your needs and ongoing peace of mind. Need advice? We are experienced in all aspects of height safety and the design of fall prevention systems. Is your building safety compliant? Make sure you conform to Australian standards and legal requirements. We offer a complete range of height safety equipment manufactured to comply with all Australian standards. Rio Tinto undertook a major project to upgrade the safe access and fall prevention to the Main Workshop at our Cape Lambert operations, this was done to enable safe access for future upgrade works to be undertaken on that facility. My sincerest thanks goes to you and your team in the efforts made to ensure the project ran smoothly and without incident and to deliver a first class product that your company should be proud of. Your leadership and team motivation, in addition to careful day to day planning, ensured that the project was completed ahead of schedule whilst maintaining a strong focus on safety and quality. This project was also achieved whilst ensuring the vital operations taking place in the workshop remained uninterrupted throughout the project and conformed diligently to the Rio Tinto health, safety and environmental requirements. It was a pleasure to have worked with such a professional team, well done and congratulations.